Maximize the performance of your EMC CX4 series SAN. The EMC CX-FC04-400 / 005048999 is a 400GB SSD hard drive. All EMC hard drives sold by SPS Pros are previously used, fully-tested, and backed by a 60 day warranty against defects. The CX-FC04-400 is also known as part numbers 005048999 and others listed below. Various EMC 400GB SSD hard drives are manufactured by STEC with the unique part number Z16IFE3B-400/520UC-EMC. Incorporation of EFDs into CLARiiON CX4 with FLARE 28 firmware (or newer) provides a new Tier 0 storage layer that is capable of delivering very high I/O performance at very low latency, which can dramatically improve OLTP throughput and maintain very low response times. EFDs are especially well suited for low-latency applications that require consistent, low (less than 1 ms) read/write response times. The greatest improvements will be seen with highly concurrent, random read workloads, owing to the lack of rotational and seek latency in EFDs. The elimination of mechanical overhead and data placement latency greatly improves application performance and efficiency. All of these factors contribute to the fact that EFDs on Dell/EMC arrays can deliver very high IOPS with very low response times without physical spindles. Using the SSD / EFD drives such as part numbers CX-FC04-400 and 005048999 in applications that use small block, random I/O is an important factor in realizing higher performance benefits. These applications have a tendency to minimize any caching advantages of the storage system. In addition, with applications such as these, the physical access to data on the disk has the greatest effect on overall performance. These small block, random I/O applications reap the greatest benefits from storage-system performance improvements. Enterprise-class EMC Flash drives are constructed with nonvolatile semiconductor NAND Flash memory. 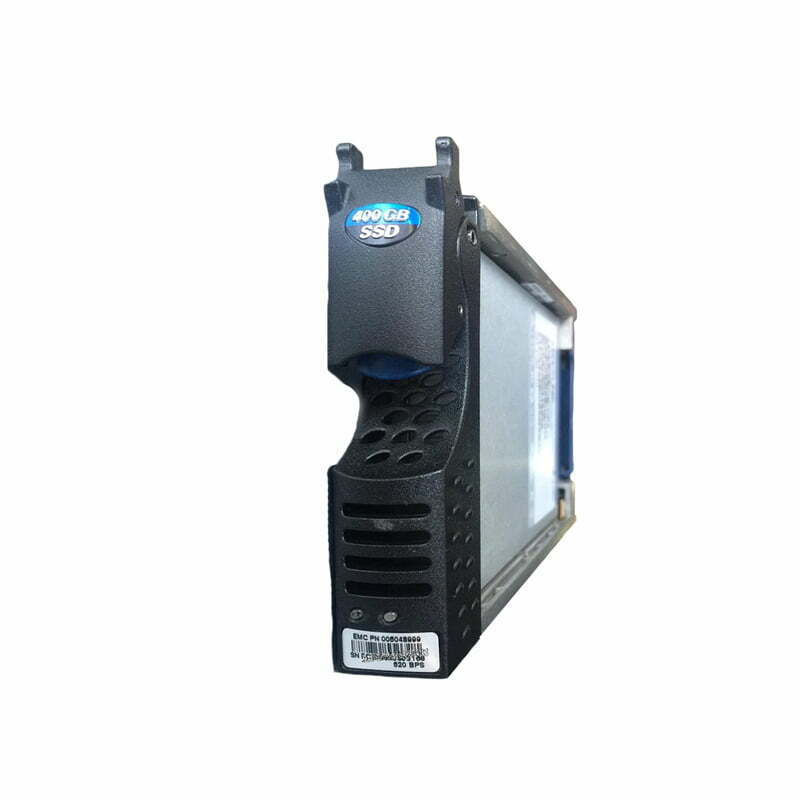 They are packaged in a standard 3.5-inch disk drive form factor and employ a 4 Gb/s Fibre Channel interface compatible with existing CLARiiON CX4 drive-array enclosures. (Note that EFDs are not supported on CX3 UltraScale or older CLARiiON systems.) The enterprise Flash drives used in the CX4 differ significantly from the solid state technology used in consumer electronics, particularly in their performance and reliability characteristics. To satisfy enterprise-level drive requirements NAND single level cell (SLC) FLash technology was made more robust with dynamic wear leveling functions, which ensures all cells in the FLash memory are used evenly, to minimize the risk of “wear-out” common to less advanced Flash devices. Additionally, enterprise Flash drives include bad block remapping and multi-bit error correction. Because of these reliability enhancements and the fact that the drive has no moving parts, the life expectancy of the Flash drive exceeds that of traditional hard disk drives.